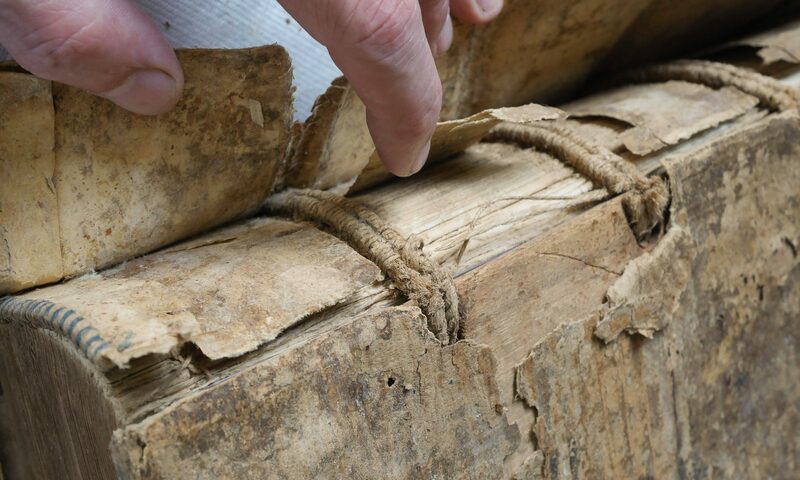 There are many techniques to make thin strips of tissue, useful for paper repairs between lines of text or even between letters on a page. 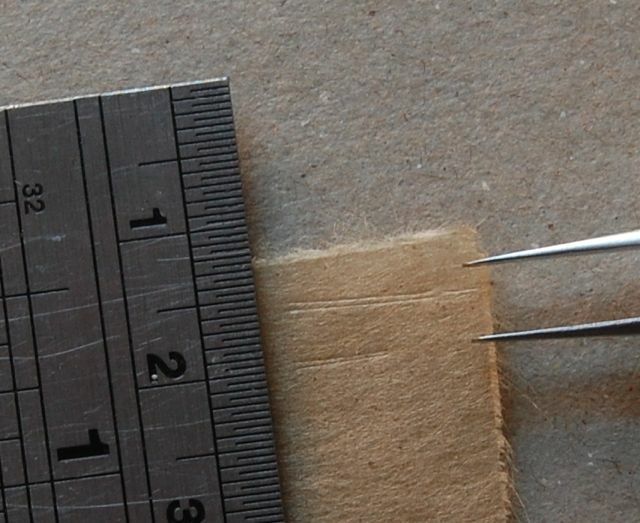 One relatively easy method I’ve been using involves modifying a standard ‘2a’ jewelers tweezers. I find Dumont, Swiss made, to be of superior quality. It is a fairly easy way to get long, parallel strips, or intricately curved parallel strips. The tips are reshaped, either by filing or abrasives, made round, thinner and can be sharpened. 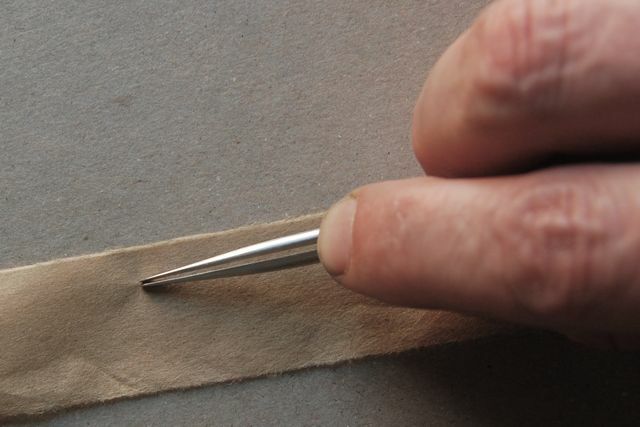 A sharper tip will cut through more fibers, with less of a feathered edge. A more rounded tip will create a larger feathered edge. Tweezers are made from unhardened steel, so they are easy to reshape. The number of fibers cut through can also be controlled by the amount of pressure when scoring, and by the hardness of the material that the tissue is scored on. The width of the lines scored can be easily adjusted by using holding your index finger in between the blades. Someday I will thread a screw through one of the blade arms, to allow an even more precise adjustment. But even as it is, it is possible to score strips as thin as .5 mm, and scoring both sides of the repair halves the amount of time spent scoring. What about modifying a ruling pen? Brilliant. Why didn’t I think of this? A bit more shaping involved, but I imagine the tool would fit into one’s hand much better. Thanks. Loved this and thank you for sharing. Amazing precision and looks (relatively) easy to get consistent strips. Another item for the Peachey catalog? These are pretty easy to make – give it a shot! Great idea Jeff! I never thought about shaping the end of my tweezers but I do have a pair with a bent tip that would be perfect for reshaping!